different seeds in each step of the tier. 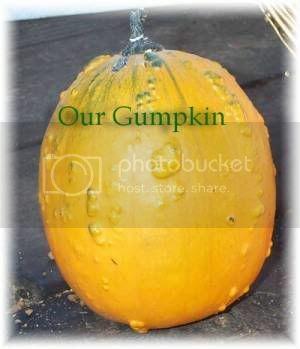 He used Pumpkins, miniature pumpkins and several types of gourds. 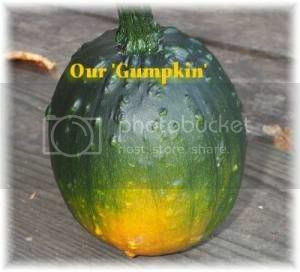 I affectionately call it a Gumpkin. as you can see it was mostly green. December 21st and it has turned a beautiful shade of orange. I can't wait to cut it open to see what the inside looks like.